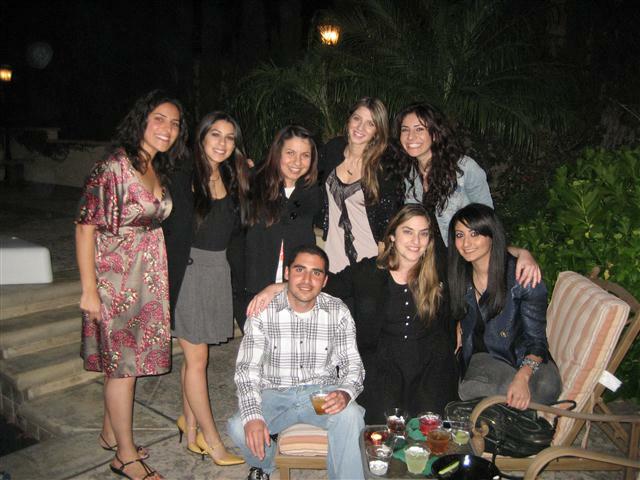 PASADENA–The Armenian Youth Federations Youth Corps Program celebrated its 15th anniversary on Saturday, May 22. The event, held at the Dimejian residence in Pasadena, brought together Youth Corps alumni, supporters and friends to share experiences, relive memories and celebrate the accomplishments of the program. Youth Corps began in 1994, two months after Armenia and Azerbaijan signed a cease-fire agreement ending the Nagorno-Karabakh conflict. In its first few years, the program sent volunteers in the summer to the Marduni region to assist in the reconstruction of the village of Ashan, which had been almost completely destroyed in the liberation struggle. Youth Corps participants had the unique opportunity to see and assist in the villages rebirth, to discover the serenity of village life, and the culture and heritage of its people, recalled Melanie Vartabedian, who participated in the program 10 years ago. The memories, the smell of the fire, the fresh taste of the watermelon you bite into, the endless toasts to life, to us, to the beauty of Armenia and Artsakh, and of course the toasts to the fallenthose memories remain forever, she added. The formative years of Youth Corps were history in the making–for Armenia and the Diaspora alike. “The bonds we forged continue to this day,” exclaimed Dzia Vartabedian, a member of the first volunteer group sent to war-torn Karabakh in 1994. According to her, the AYF started this program to connect Diasporan youth to the youth of the newly independent republic of Karabakh. Working on the campsite in Ashan village helped achieve that goal, she explained, adding that the group spent its summer with villagers who experienced war first-hand. Over the years, the program sent groups to the capital of Stepanakert, the village of Vayk, and the village of Ashan. Through its work, Youth Corps developed into the most memorable, productive and exciting means for young Armenians to establish and strengthen their ties with their homeland. In 2008, Youth Corps switched gears to focus on building connections between youth in the Diaspora with their counterparts in the homeland. For two years now, Youth Corps has been operating a free summer day camp for underprivileged children in Gyumri, Armenia. This summer, the AYF will send nine participants from California and one from Canada to run Camp Gyumri. The group will arrive in the Armenian capital of Yerevan in early July. In addition to running the camp, The group will have a chance to experience the beauty of the Homeland and its people, touring Armenia and Karabakh for two weeks. The group, like last year, will maintain a daily blog of their experiences at: http://www.ayfyouthcorps.org.